Born to Eternal Life November 25, 2014, Age 79 years surrounded by his loving family. He is survived by his loving fiancé Ruth M. Lorge of Port Washington, Dear Father of Cheryl Mazza, Rochelle (Jack) Maglio, Joseph Mazza, Danielle (Terry Rentmeester) Mazza, Kim (Michael) Szohr, Jennifer (Kevin) Kelly, Debra (Yves) Behrens. Adored Grandfather of Brittany, Evan, Ethan, Konner, Madeline, Charlie, Ryan, Joe, Sam, Emily, Abbey, Jenna, Kelly (Jay) Lyons. Dear Brother of Joseph (Mary Jo) Mazza and Loving Brother-in-law of Santa “Sandy” (Late Nick) Mazza. Former spouse of Virginia Mazza and fond father-in-law of Dr. Anselm Lam. Also survived by nieces, nephews, other relatives and many riends. Preceded in death by his loving late wife Joan Paul Mazza, Sisters Mary (Late Alfred) Griffin, Sarah (Late John) Beno, Caroline (Late Albin) Brulc, Brothers Ted (Late Lee) and Nick (Sandy) Mazza. Carlo was born in Milwaukee he graduated from Marquette University School of Business in 1956 and proudly served our Country in the US Army from 1957-1959 and was stationed in Germany. Carlo co-owned and operated Alco Building Products Inc. along with his brother Nick. The company remained in business for 60 years. 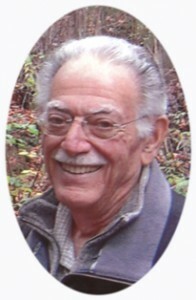 Carlo was a parish member of St. Peter of Alcantara Catholic Church in Port Washington, NARI (National Association of Remodeling Industry) and Rivers Edge Bird Club. Carlo had a great love for wildlife, travel and spending time with his family, he will be greatly missed. Visitation Friday Dec. 5th 10AM-Noon at St. Peter of Alcantara Catholic Church, 1802 N. Wisconsin St. Port Washington followed by Funeral Mass at 12Noon at St. Peter of Alcantara Catholic Church. Memorials in Carlo’s name may be dedicated to Cystic Fibrosis Foundation or the Milwaukee Rescue Mission. POOLE FUNERAL HOME/Crematory, Port Washington assisting the family. Information and condolences available at 262/284-4431 or www.poolefh.com. My deepest sympathy to you all. I do not know any of you personally. However, we are connected through our Luxembourg roots. The ‘bell tolls’ for all of us. When you fell the time is right, please contact me at bob.arens37@gmail.com so that I can do a better job of collecting your Luxembourg genealogy, especially your John Ries 1830-1905 and Catherine Eischen 1843-1915 ancestors. Sympathy to your family—many years ago used to wait on you two lovebirds at Bublitz”s in Saukville–take care. Kim: Please accept my sincere condolences at this time. I will pray for you and your family. Please note you are in my prayers.